Light Plane With Santa Claus Fly Over The Forest, House, Snowman.. Royalty Free Cliparts, Vectors, And Stock Illustration. Image 46551219. 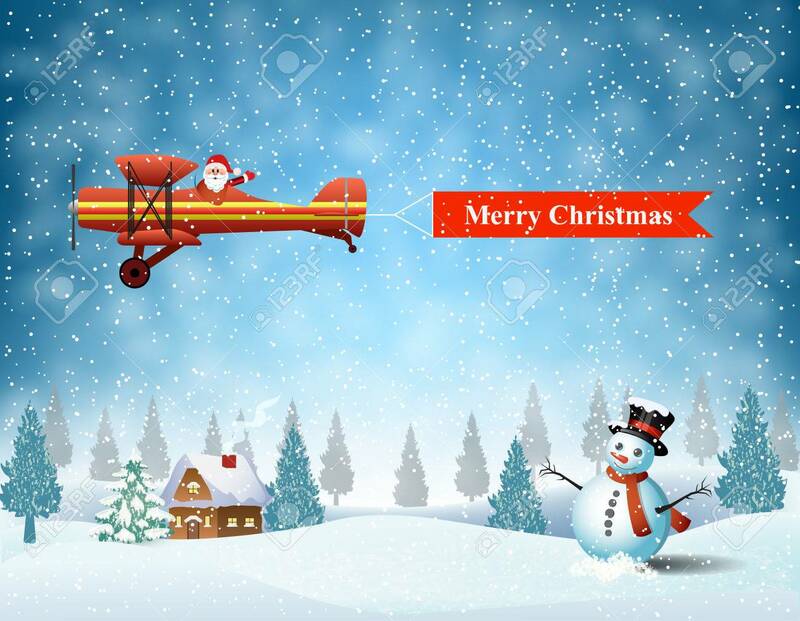 Vector - light plane with Santa claus fly over the forest, house, snowman and pulled merry christmas banner . Christmas card,invitation,background,design template. light plane with Santa claus fly over the forest, house, snowman and pulled merry christmas banner . Christmas card,invitation,background,design template.